Sgt. Pepper's Lonely Hearts Club Band's 2017 stereo mix is released on 180-gram black vinyl single LP. Produced by Giles Martin for this year's universally heralded 'Sgt. 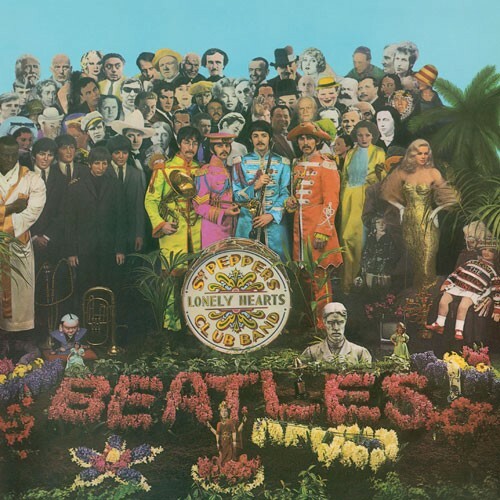 Pepper' Anniversary Edition releases, the album's new stereo mix was sourced directly from the original four-track session tapes and guided by the original, Beatles-preferred mono mix produced by Giles' father, George Martin. The 180-gram black vinyl was manufactured for pristine quality audio by Quality Record Pressings.